Due to popular demand, we are now offering collision repair estimates on vehicles which we have inspected at Copart and IAAI facilities. When ordering inspections at these facilities, you now have the option to include a damage repair estimate for an additional $25. We will do our best to include every part necessary to complete the repairs. Included with the estimate are part numbers, part descriptions, body labor time, paint labor time, glass labor time and mechanical labor time. As with any estimate, there may be a few items which are included that are not 100% necessary to replace and there may be some items not included which will be necessary to complete the repairs. 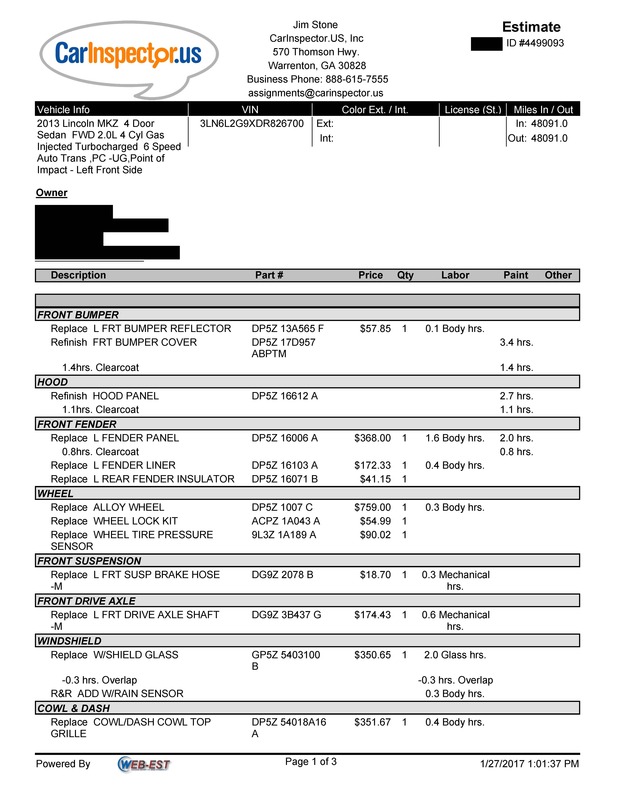 Our goal for these estimates is to give you an idea of what it would cost to repair vehicles that you are interested in bidding on, not 100% perfect accuracy. These estimates are to be used as a guide. 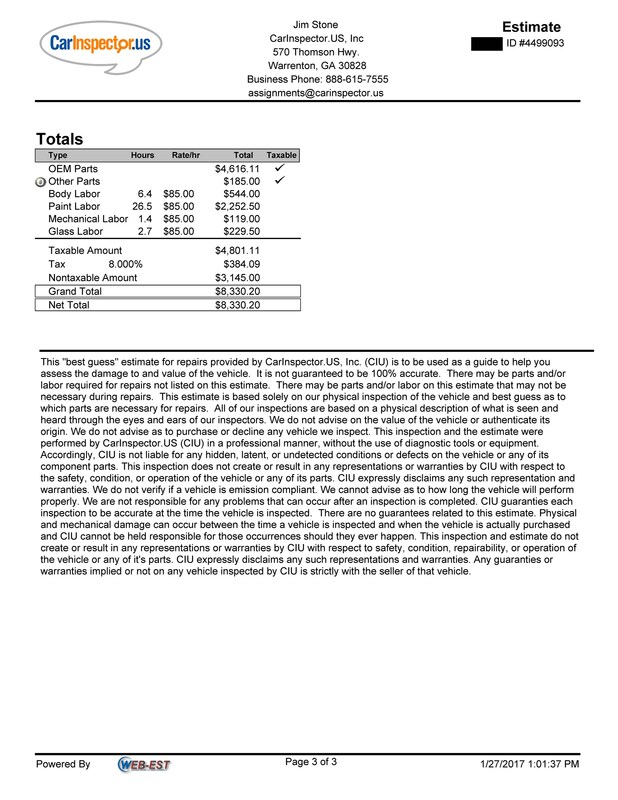 Below is an actual estimate for a vehicle at Copart. Note that there are not photos included with our estimate. 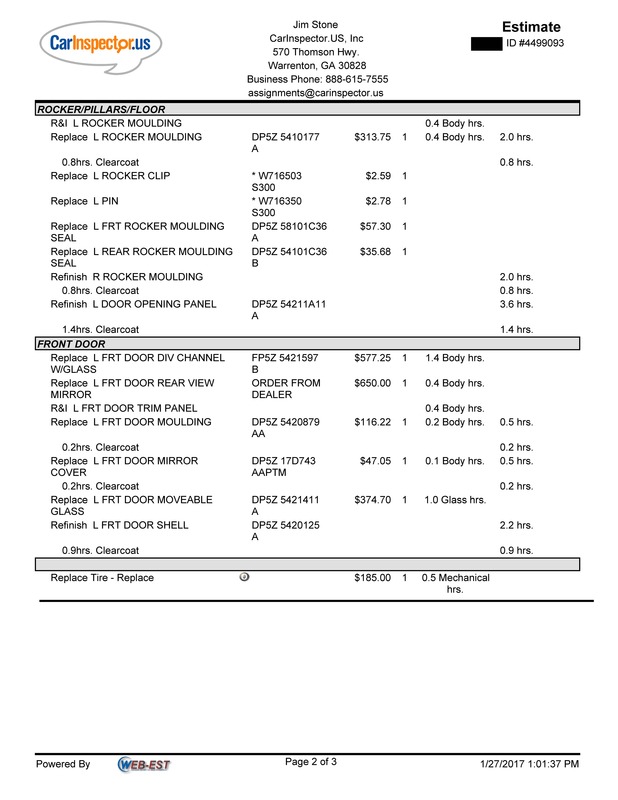 Photos of the vehicle are included in the inspection report. So you may see what the vehicle looks like, here is a link to the Copart Listing.